The rapid decline in mortgage rates over the past year has created significant differences in the interest rate risk profiles of Agency MBS. These differences are driven by the coupon levels of the underline mortgage loans. Borrowers who were able to lock in a 30-year mortgage with a rate below 4% are highly unlikely to refinance now. If the back up in rates we've had is here to stay for a while, the "under 4% crowd" may not be refinancing for years, possibly only when they sell their homes. That means that the securities with pools of these low rate mortgages now have a much longer weighted average life (WAL). Securities with mortgages that have higher rates contain loans that are still likely to refinance (and are somewhat older), giving these securities a materially shorter WAL. This is always the case when you have a significant decline in mortgage rates followed by an increase. But the speed and the relative magnitude of the recent mortgage rate drop had created a larger separation in the risk profiles of these securities than in the past. The higher the WAL, the longer the effective duration of the security and the higher the risk. From the rate risk perspective, the 3% FNMA is as risky as the 10-year treasury. With such a low coupon this bond is quite vulnerable. 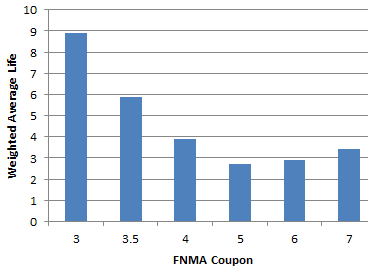 This next chart shows how hard the FNMA 30-yr securities of different coupon have been hit by rising interest rates since the beginning of February. 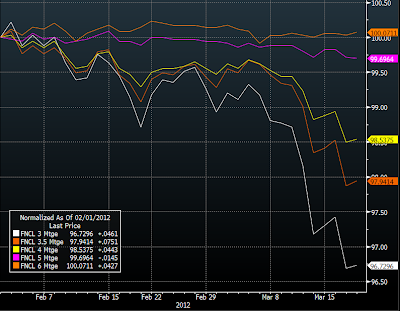 This demonstrates how dramatically the risk profile of these bonds varies with coupon. 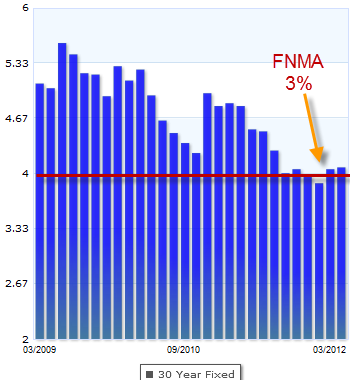 The FNMA 4% for example are less than half as risky as the FNMA 3%. 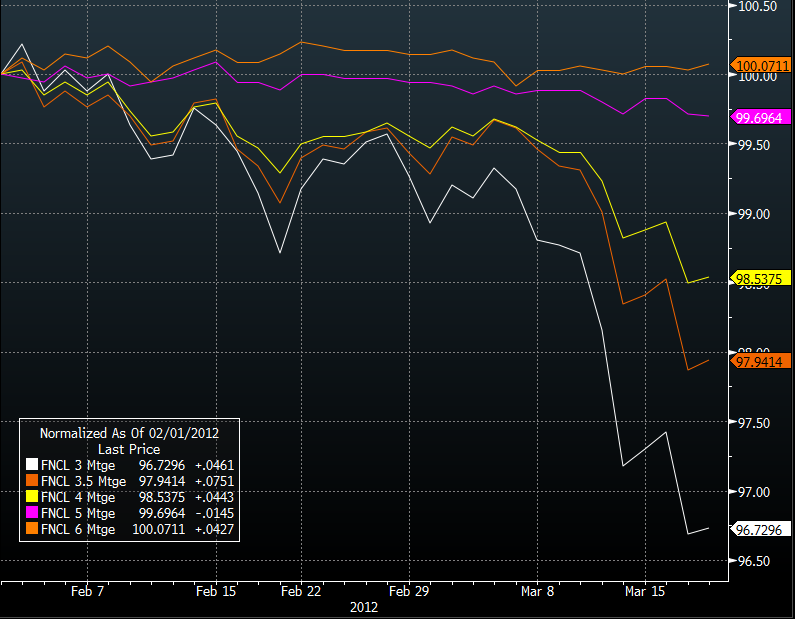 In this environment selecting the wrong Agency MBS bond for your portfolio could become extremely costly.